Not to be outdone by other recent announcements from Canon and Fujinon, Angenieux announced today a new line of Optimo Style lenses that will be added to their extensive, respectable line of professional zoom lenses. The press release details the new lenses as a 16-40mm and a 30-76mm. The two new lenses with be offered with or without their new Angenieux Servo Unit (ASU). No word on the speed of the lenses just yet but it’ll likely be between T2.6 and T2.8. If you’re familiar with Angenieux’s current line of Optimo (15-40mm and 28-76mm) and Optimo DP (16-42mm and 30-80mm) lenses, it may sound like the new Optimo Style line is simply another variation on their existing lenses. The Optimo DP 16-42mm and 30-80mm will be discontinued as individual lenses and available in pairs tuned from the factory as a 3D package. The new Optimo Style lenses will also feature interchangeable mounts in Arri PL, Canon EF, and Panavision flavors. Both new Optimo Style lenses will weigh in at a very nice 4.2 lbs. – almost half the weight of other “lightweight” zooms available. 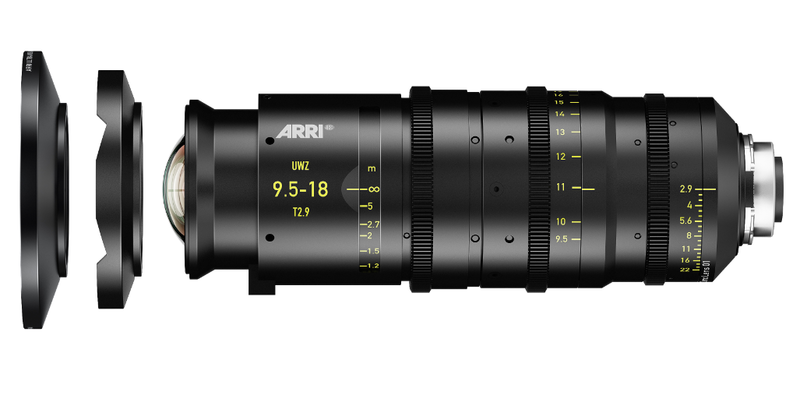 Angenieux goes into more detail noting that these lenses are tailored for high standards of UHD 4K production and will be available Summer 2014. Other bits included in the press release simply cover existing lenses, shipping soon the new 25-250mm Optimo and their now shipping 56-120mm S2 Anamorphic Zoom. One other detail new to the press release is the Angenieux Servo Unit (ASU) which Angenieux had mentioned about a year ago but has just now officially announced it. the ASU will work with all of the lightweight Optimo lenses. This now makes three manufacturers who have jumped aboard the CinENG train. (I just made that up: Cine + ENG = CinENG get it?) The (ASU) provides control of zoom, focus and iris and is compatible with broadcast remote handles, cinema remote controls and wireless remotes. It generates lens metadata based on the Cooke/i technology protocol. The ASU and lenses are matched and calibrated at the factory. Read the full press release below and check back often for live updates from NAB where we’ll find out what the real details are behind the new Optimo Style line of lenses. New optics? Rebranding? Either way, Angenieux has a reputation all over the world for making top-notch cinema zooms. Las Vegas, NV (April 4, 2014) – Inspired by the escalating demands for cinematic quality content to meet the rise of multimedia viewing and the trend of Ultra definition television, Thales Angénieux is introducing their new Optimo Style Series of zoom lenses. The family features three zooms – two hand-held and one full size — and provides focal length from 16mm-250mm with ability to lengthen the range with a 2x extender. The two lightweight zooms are also available with the optional Angénieux lens servo motorization system. desirable 25mm wide angle position and a 10x zoom range to meet a variety of production needs. This lens was previously introduced at IBC 2013 branded Optimo DP. The Optimo Style series is fully compatible with the latest generation of digital cameras and provides the unique cinematic look of the Optimo line at an affordable price. The lenses additionally feature an easily interchangeable mount (PL, Canon EF, Panavision) for full compatibility with a wide variety of cameras. The Angénieux Servo Unit (ASU) provides control of zoom, focus and iris and is compatible with broadcast remote handles, cinema remote controls and wireless remotes such as Preston or others upon request. It generates lens metadata based on the Cooke/i technology protocol. To help ensure flawless performance, the ASU and lenses are matched and calibrated at the factory. The ASU will additionally be available as an option for all the Optimo Lightweight Cine Zooms including the Optimo Style 16- 40 and 30-76 and the Optimo 15-40, 28-76mm and 45-120mm lenses. 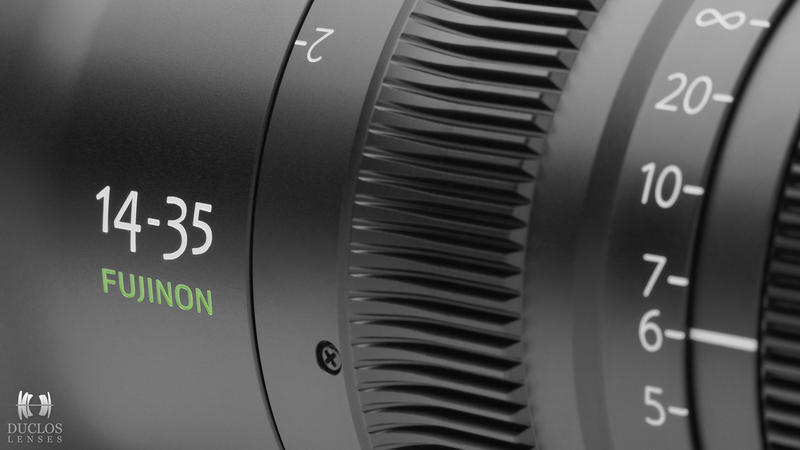 Right on the heels of Canon’s newst announcement of their 17-120mm Cine-Servo zoom, Fujinon drops a bombshell with their newest addition to the Cabrio line of lenses: a 25-300mm. Fujinon’s press release doesn’t specify a T-stop, but a photo clearly shows an aperture ring with a T3.5 maximum marking. Not bad for a 12x zoom range. Fujinon says the lens will begin shipping in June but the servo unit won’t be available until Q3. Wayne, N.J., April 2, 2014 – The Optical Devices Division of FUJIFILM North America Corporation willannounce the latest addition to its popular series of cine zooms – the Premier PL 25-300mm Cabrio[ZK12x25] at the annual NAB 2014 convention, held in Las Vegas, starting on April 7th.. The company will exhibit in NAB Booth #C7025. Equipped with a 35mm PL mount, the PL 25-300mm boasts a high zoom ratio covering the focal length of 25mm to 300mm. 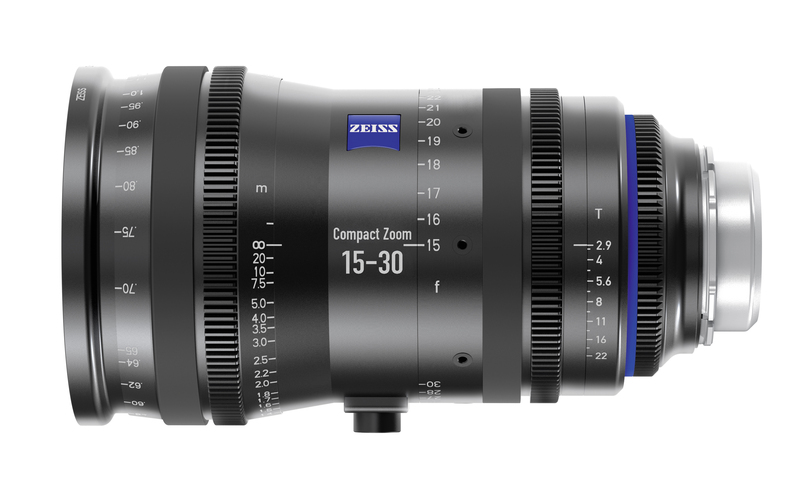 Like all Cabrio zooms, the PL 25-300mm supports an optional detachable drive unit for electric zooming, focusing and iris. Mounting the unit enables remote control of zoom, focus,and iris adjustment. It can be used as a self-contained ENG-style or cine style lens. When used without the drive, industry-standard cine motors can be fitted. Designed using the latest proprietary optical simulation software, the PL 25-300mm offers exceptional optical performance in the center of the image and in the corners of the frame. The digital servo’s 16-bit encoding assures operators that all lens data output—including the position of the zoom, iris, and focus—is extremely accurate. The zoom supports Lens Data System (LDS) and /i Technology metadata formats, and can be controlled using cinema industry standard wireless controllers as well as existing FUJINON wired and wireless units. 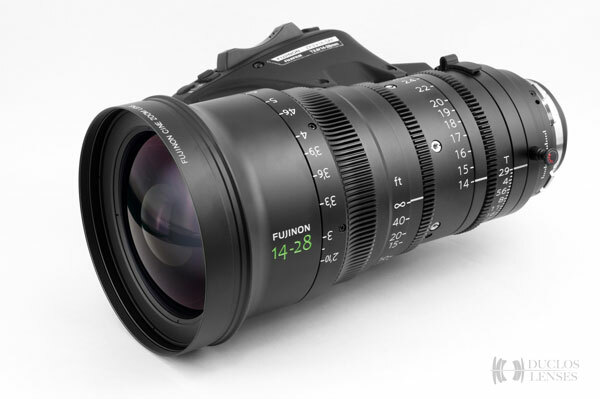 FUJINON’s PL 25-300mm lens is the latest development in the company’s popular Cabrio series, which includes the recently introduced Premier PL 19-90mm, the PL 85-300mm, and the recently introduced PL 14-35mm lenses. A presentation running on two monitors within the Optical Devices Division’s NAB booth will feature several of the industry’s top cinematographers, including Claudio Miranda, testifying to the unsurpassed versatility and image quality of the FUJINON cine-style lenses. This year also marks FUJIFILM’s 80th anniversary, and 40 years for the Optical Devices Division, formerly known as FUJINON, in the U.S.
Compliments of Duclos Lenses – Enjoy this high-res desktop wallpaper of Fujinon’s newest addition, the Cabrio 14-35mm T2.9. Happy New Year from the folks at The Circle of Confusion and Duclos Lenses. Check out the other Fujinon cinema zooms from Duclos Lenses here. Shane Hurlbut recently took a set of the Canon Cinema Compact Zoom lenses, 15.5-47mm and 30-105mm, complete with Multi-Mount and Zoom Motor Bracket as well as the two flagship lenses, the 14.5-60mm and 30-300mm with our Carry Handle and Motor Bracket kits out for a spin on his newest project that you may have heard of – Need for Speed. Check out his full article on his blog here – Adapting Your Canon Arsenal with Duclos: A Way for Filmakers to Increase Speed and Convenience on Set. The Image Circle Database Is Back! Tired of guessing which lenses will and won’t cover a specific sensor? Stress no more, I’ve revised the Image Circle Database that so many of you have been asking for. It’s an ongoing project that I update periodically as lenses come through the shop (there’s a lot of them). With the rate that manufacturers are designing and releasing new lenses, this database will be updated as a downloadable PDF often. If there is a specific lens you would like researched for image circle, please list it below in the comments. The Database is going to stick to primarily cinema lenses or at least those used for cinema often. Check out the details below. Continue reading The Image Circle Database Is Back! Posted on September 19, 2013 Author Matthew DuclosCategories News, ReviewTags cinema, circle, database, Duclos, image, lens, Matthew, New, optics, Prime, share, updated, zoom23 Comments on The Image Circle Database Is Back! Canon’s new 15.5-47mm with factory Canon EF mount.